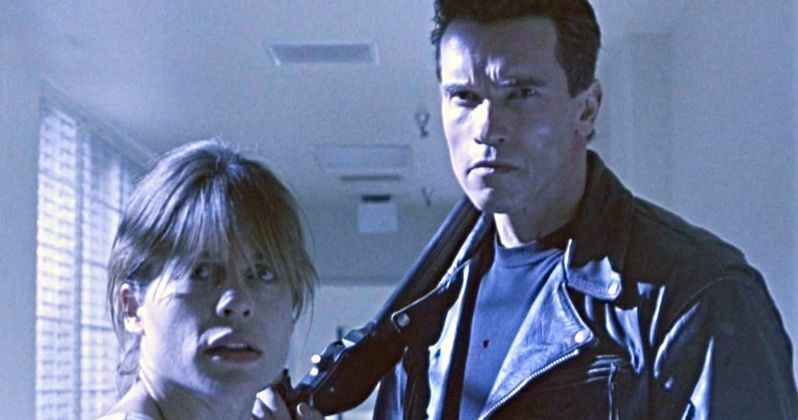 Every Terminator sequel past T2: Judgement Day has been met with mixed reviews from critics. While each of the subsequent films attempted in their own ways to revitalize the series, the franchise never really seemed to reach its former glory. For many fans, that could be because of James Cameron having nothing to do with any film after T2, and the other sequels just never quite captured that same feel. By returning to the franchise, Cameron has reinvigorated interest in the series. Having him directly involved in the creative process adds a certain legitimacy that was lacking in the other films. Cameron's return for Terminator 6 saw him conceive the story, along with David Ellison and Tim Miller. Cameron and Ellison are also serving as producers, and Miller (Deadpool) will direct. In addition to Cameron's return comes another that's just as remarkable. Linda Hamilton, who plays Sarah Connor in the original two films, is reprising the role once again for this new movie. This is made possible by ignoring Terminator 3: Rise of the Machines, which killed the character off, along with the sequels which came after it. This seems to be one retcon that fans of the series aren't too upset with. Also back on the Terminator set is franchise star Arnold Schwarzenegger, once again taking on the role of a robotic time traveler. With today being Hamilton's birthday, Schwarzenegger celebrated his colleague and friend by posting a photo of the two of them together on the Terminator 6 set. In an apparent recreation of a photo taken during their time on T2, the touching image shows Hamilton resting her head on Schwarzenegger's shoulder, with the two both bearing big smiles. Along with the photo, the actor posted this kind caption. "Happy birthday to my dear friend Linda Hamilton. One of my favorite co-stars, a true badass, and a wonderful human being. I'm pumped to be back together again." Although Edward Furlong will not be on set to reprise his role as John Connor, his face will still be seen in the film, superimposed on the face of body double Jude Collie. Also joining the cast are Diego Boneta, Natalia Reyes, and Gabriel Luna, and Brett Azar reprises his role from Genisys as a T-800 stand-in. Despite the publicity surrounding Hamilton's return to the series, the plot will mostly follow Boneta's character Dani, a working woman who finds herself caught up in the war between man and machine. Hopefully, this new film will be the shot in the arm that the franchise has been needing for a long time. Utlimately, we'll have to see how well the film does critically and at the box office. Terminator 6 will be hitting theaters everywhere on Nov. 15, 2019. You can see the photo of Scharzenegger and Hamilton below. This information comes to us from Jo BLo.